Out of curiosity, however, what is everyone attaching theirs to? Playseat? Wheelstand? Desk? Home made? I just ordered the fanatec wheel stand yesterday. I needed something that I can store away when I'm not racing and it looked as good as any stand I saw or felt I could build myself. That just looks like a desk to me, no? Yeah, I have the monitors on my desk, but I could mount them on the ozone if I wanted to. Oh, I see the bars underneath, I thought it was just a desk and a computer chair until I looked more closely. How do you like it? How much was it? I love it. It was pretty easy to assemble and is quite sturdy. You have to drill the wheel and pedal plates to hard mount but that was manageable. Price was $350, plus $90 shipping from Main Performance PC. The seat is very adjustable and comfortable. You can make it recline and move backwards and forwards. Feels like a real car seat. I was able to mount the keyboard tray under the wheel plate, but that might not work for everyone. 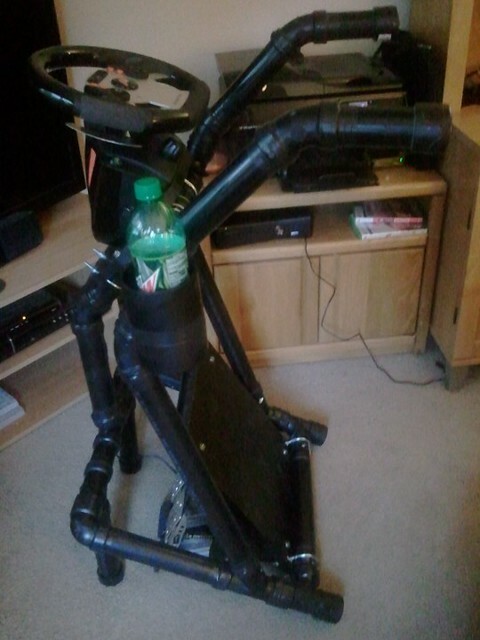 I made the below rig from PVC pipe that works with my easy chair in my office. Still rock solid! It's very simple, but it works very well for me plus it cost me nothing at all. Hey Fitzy, What did you do for the pedal mod on that wheel? From my experience Fitzy does all his braking on other peoples cars. Especially if your name is Church! 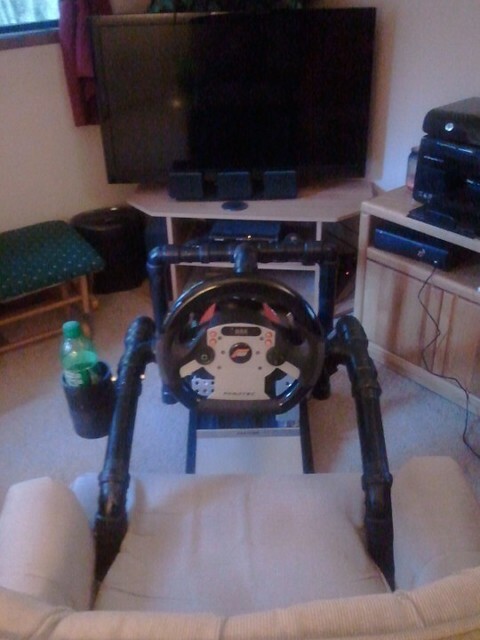 The fanatec wheel stand is rock solid and great for an apartment. 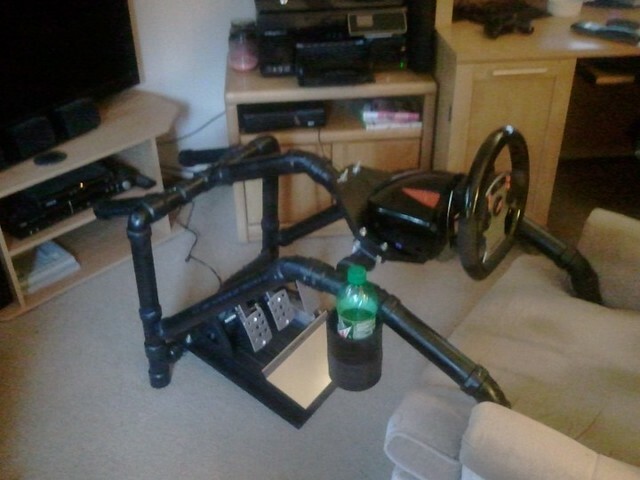 I have the Fanatec wheelstand also and have had no issues with it. Like Parcells said it's rock solid. Lowest is 20" from the floor to the mounting plate for the wheel. My setting is 4" higher that and I'm pretty sure their is still a lot of upper adjustment left. Pretty sure I have the version 1 stand...from floor to mounting plate mine measures 21" - 31"
Parcells has the version 1 stand...from floor to mounting plate mine measures 21" - 31"
Resurrecting an old thread... I found the Playseat Challenge ads and videos; "Works with any wheel and pedals." Perfect for our small living space and wife that won't tolerate a racing rig in the living room all the time. Especially since I travel for work a lot and can be gone for weeks at a time. Great, so I ordered a Fanatec CSL Elite setup and am waiting (like others) for it to ship at the end of March. 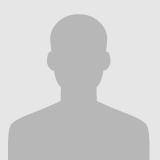 Question #1: Is anyone successfully using a Fanatec setup with this seat? Question #2: Did anyone have their seat fail while using a Fanatec setup? Question #3: Is there anything else out there that is easy to assemble then put away and store?